When Vancouver Island University students and faculty members log in to VIULearn for the first time this Fall 2017, they will experience a change in the look and feel of the learning environment. On April 30, 2017 VIULearn was upgraded to “Daylight”, a new interface design that allows for the same experience regardless of your device, screen size or age of technology. NOTE: There are no functional or operational changes to VIULearn. It works the same way! In addition, VIU also took this opportunity to update some additional elements on the My Home Page (new “Announcements” area on right side replacing other news area, VIULearn Help is moved to the navigation bar and the My Settings area is removed – as it still exists under the personal menu as “Account Settings”). We also did some minor edits to the Course Home Layout (moved the Announcements to the top of the page to give instructors a bigger area for course notices, put the ‘Updates’ section on the right side, removed ‘Tasks section’ that wasn’t heavily used and – for faculty – removing the Role Switch area as it still exists under the personal menu). We just cleaned it up! 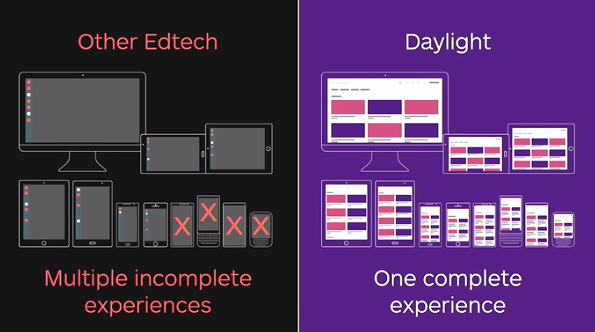 The company, D2L, has gone with a massive overhaul of their learning system (called Brightspace) to a format called ‘responsive design’ which means the same web page responds /adjusts / adapts to whatever device you may be using. Many competitors in the educational technology field do not always have their products able to adjust in this way. They may have apps or other web addresses you need to use for various mobile or desktop devices. 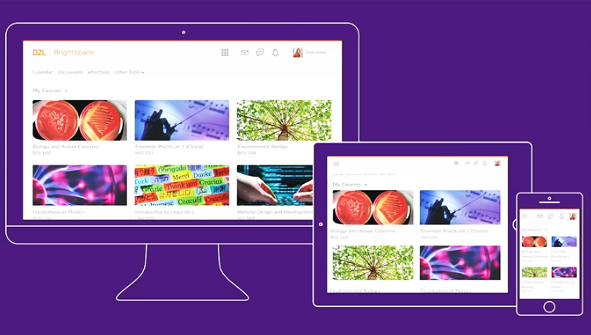 D2L has decided to invest in one platform that works on all devices and only needs to be updated/enhanced in one location. 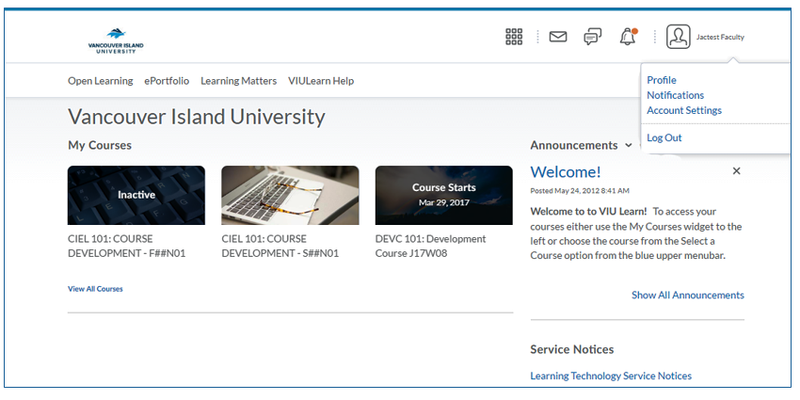 The huge advantage for VIU students will be the ability to more easily access their courses on mobile devices, upload assignments, take quizzes, and engage with the course materials – something not possible prior to Daylight for VIULearn. Students and faculty would have had challenges using a completely different mobile environment that often didn’t work for all the tools and functions. Now it doesn’t matter whether you are on your laptop or your smartphone – you are accessing the same environment that just ‘adjusts’ to the size of the screen.